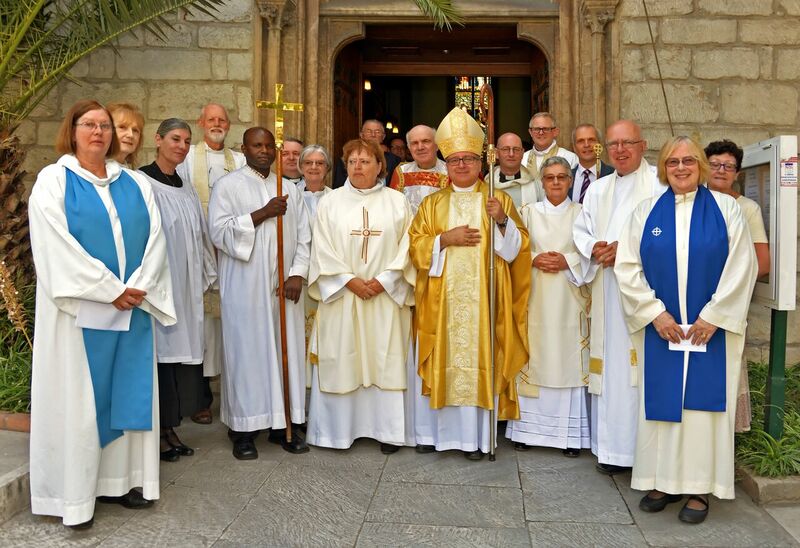 Sunday 3rd July was a time of joyful celebration as, for the ordination of our Reader, Christine Saccali, to the Distinctive Diaconate, we welcomed to Athens Bishop David Hamid, Suffragan Bishop of the Diocese in Europe, together with the Archdeacon of the East, the Ven. Colin Williams; the Diocesan Director of Ordinands, the Rev. Canon William Gulliford; the Deacon of the Rite and Preacher, the Rev. Deacon Frances Hill; and, the Rev. Robin Fox (who acted as Bishop David’s chaplain during the Service). 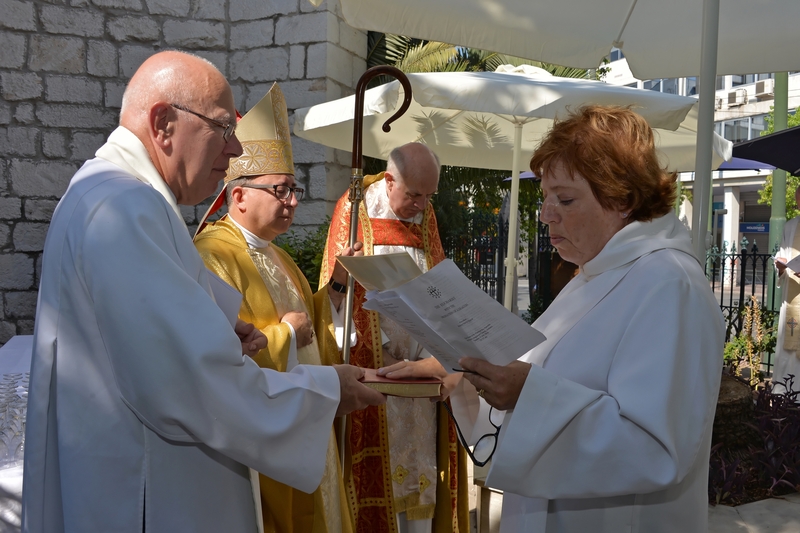 Under a blue sky and sunshine, Christine signed the Declaration of Assent and took the Oaths of Allegiance, prior to the commencement of the Eucharist presided over by Bishop David, which included the ordination of a Deacon. It was a magnificent sight as the procession of clergy was led into the Church by our Verger, followed by three Readers (from Italy, Spain and Athens), no less than seven Priests, our two Churchwardens, the Archdeacon, the Director of Ordinands, Christine and the Bishop. Members of the Greek Orthodox Church, Apostoli and the Salvation Army were also present as guests of the Chaplaincy. At the beginning of the service, the Bishop explained the duties of a Deacon with reference to the Gospel reading appointed for the service. The Rev. Deacon Frances Hiller read the Gospel and during her sermon congratulated Christine and elaborated a little more on the history and role of Deacons in the Anglican Church. The readings from the Old and New Testament were read by Reader Sherry Angelis and by H.E. John Kittmer, the British Ambassador. The choir was led beautifully by our Musical Director, Christina Antoniadou. Music during the service included the Peruvian Gloria, which resounded off the ceiling as a packed church responded to the rich tones of the solo male chorister. During the proceedings the Bishop asked Christine to affirm her faith and also asked the congregation to pray for her and encourage her in her ministry. She then had to prostrate herself on the ground as the Veni Creator was sung. 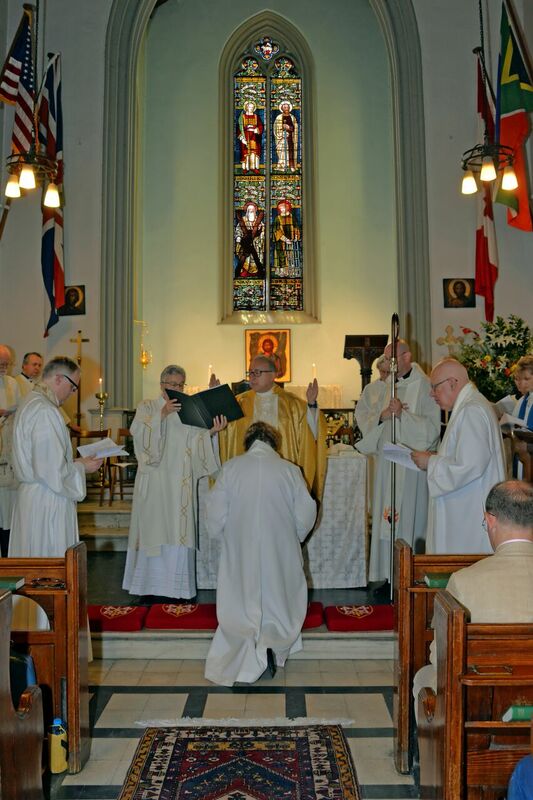 After further prayers, and the laying on of hands, our newly ordained deacon was presented with a Bible and then vested in the manner of deacons. She was presented to the congregation and a fine round of applause followed, as everyone cheered and smiled at the culmination of the journey that Chris had undertaken. The service ended with a joyful rendering of “You shall go out with joy”, which is sung three times at an increasing pace. This was so popular with everyone clapping their hands at the appointed time, that Fr. Malcolm, with a nod from the Bishop, declared that we should sing it one more time except that this time the pace was even faster! The clergy processed out with our newly ordained deacon accompanying the Bishop. Umbrellas and tables had been set up outside and everyone was treated to a glass of wine or a soft drink and some cake with which to celebrate Chris’ ordination. Chris was busy accepting congratulations from the whole congregation and everyone mingled happily chatting to the Bishop and fellow clergy and thoroughly enjoying the special occasion. 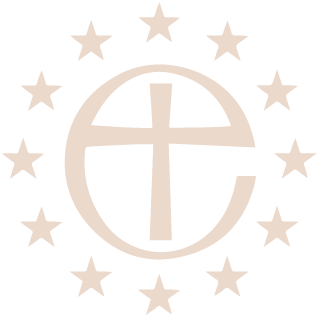 Later on, around 30 members of the congregation, together with the Bishop and other clergy and Christine, her family and friends, gathered at a local taverna in Plaka for a congratulatory meal to round off what had been a very successful, happy and joyful Sunday. So sorry to miss this wonderful occasion – such a blessing to have Chris with us in Athens to continue supporting Father Malcolm and the Chaplaincy.